The May 22nd Run-off election only turned out about 1.5% of the eligible voters, but the results were significant for several races of local interest. For Harris County School Trustee at Large, Richard Cantu won his race against Josh Wallenstein. Although it was a nail-biter, with the lead changing all night, nevertheless when all the votes were counted, Cantu had 50.25% or 26,014 votes, and Wallenstein had 49.75% or 25,780 votes. Cantu will go on to challenge the Republican candidate in the general election in November. Cantu issued a statement thanking his supporters, as follows: “We did it!! Thanks to the voters of Harris County, I will move on to the November General Election as the Democratic nominee for Harris County School Trustee. Position 3 (AtLarge)! This campaign was about our 3 and 4 year-olds that need someone to fight for them, for the teens that need more options to engage them afterschool, for the hardworking families that need more opportunities to earn more and can only get there by learning more, and for the indispensable teachers that deserve to have the absolute best training and resources available to be able to produce the Nation’s best! I’m so thankful to our friends and family for their encouragement, and financial support; our campaign was successful because you believed in our vision! I’m also extremely grateful to my wife, Thelma, for her unwavering love and support throughout this adventure! In the run-off on the Republican ticket, for Gene Green’s seat in TX-29, Phillip Aronoff won with 51.87% or 1,151 votes, and Carmen Montiel lost with 48.13% or 1,068 votes. Aronoff will face Democrat Sylvia Garcia in the general election in November. Bringing healthy summer meals to children ensures kids have a healthy vacation and return to school ready to learn. Aldine Child Nutrition Services will connect children 18-years-old and younger with healthy Summer Food Service Program (SFSP) meals at no cost to the child beginning June 5, at 18 sites. SFSP is a U.S. Department of Agriculture nutrition program administered in the Lone Star State by the Texas Department of Agriculture (TDA). For the children who rely on school meals during the academic year, these meals offer a source of good nutrition when school is out for the long summer vacation. Specific schools sites can be found on the Child Nutrition website, www.aldinecafe.com. Meal Services times are scheduled by each school site. Summer food program meal sites help children succeed by providing the nourishment they need to return to school in the fall ready to thrive. • Thursday, May 31 – Lane School Graduation, Hall Center for Education, 5:30 p.m.
• Thursday, May 31 – MacArthur High School Graduation, M.O. Campbell Educational Center, 7 p.m.
• Friday, June 1 – Hall Center for Education Graduation, M.O. Campbell Educational Center, 6 p.m.
• Friday, June 1 – Davis High School Graduation, M.O. Campbell Educational Center, 7:30 p.m.
• Saturday, June 2 – Aldine High School Graduation, M.O. Campbell Educational Center, 8 a.m.
• Saturday, June 2 – Carver High School Graduation, M.O. Campbell Educational Center, 10:30 a.m.
• Saturday, June 2 – Nimitz High School Graduation, M.O. Campbell Educational Center, 1 p.m.
• Saturday, June 2 – Eisenhower High School Graduation, M.O. Campbell Educational Center, 4:30 p.m.
• Saturday, June 2 – Victory Early College High School Graduation, M.O. Campbell Educational Center, 7 p.m.
HARRIS COUNTY – Following the school shooting in Santa Fe last week, authorities report that there has been an increase in threats recorded across many schools in the county. 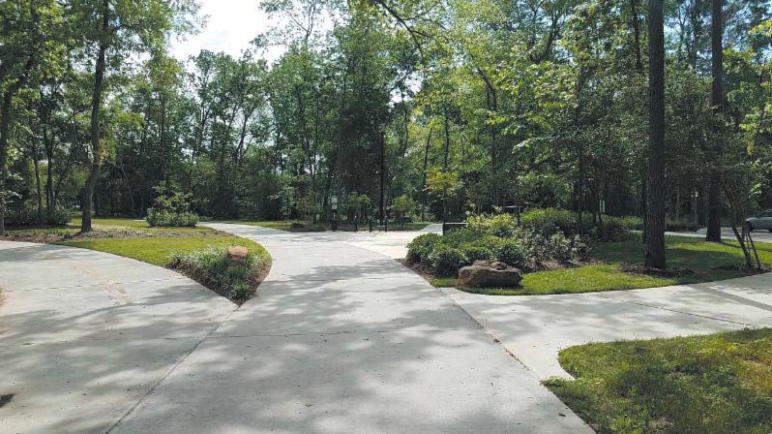 At least seven school districts in the area have had to deal with threats, by searching for senders, sending additional police, and hardening security features. Districts with problems included Clear Creek and Huffman, where students had guns, Cleveland where a student had a gun replica, and YES Prep West, Crosby, La Marque, and Aldine where threats were recorded. The Harris County District Attorney’s office has reported that they filed charges against 24 students since last week’s shooting at Santa Fe. Most of these were against kids whose ages were from 12 to 16, but some were as young as 10. John Jordan of the DA’s office said that it was imperative that these cases be filed, to protect other teachers and students. 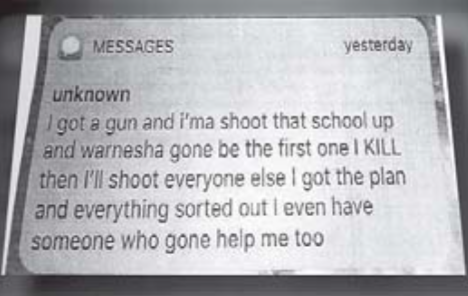 If a potential problem is seen, it must be reported and investigated, he said, “because you never know who the next shooter is going to be.” In Aldine, channel 26 Fox new’s Randy Wallace reported that a student, Warnesha Crawford, had received a threatening text from a fellow student that she claimed had been bullying her. She identified the student to school authorities, but her mother claimed they did not take the appropriate action, and the sender was still in school. Memorial Day was observed at the Houston National Cemetery, with speakers including Mayor Sylvester Turner. 80,000 flags were laid at the graves of the fallen servicemen and women. Harris County voters will go to the polls this Tuesday, May 22 for a run-off election in a number of positions. Democrats in the Aldine area will vote for candidates for Governor, District Clerk, County Clerk, County Treasurer, and County School Trustee at Large. Republicans have only one race of local interest, TX-29 Congressional District, now held by Gene Green. Candidates on the Republican ticket are Phillip Aranoff and Carmen Montiel. The winner will face the Democratic candidate in November, Sylvia Garcia. Voting on Election Day is from 7am to 7pm, and in the Aldine area your location will be either Johnson Elementary School, or Hardy Senior Center. Check www.harrisvotes.com. The race with the most local interest is for County School Board, at Large, on the Democratic ballot. 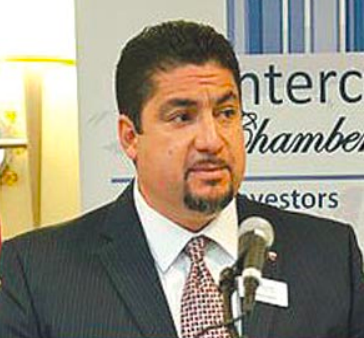 Well known community leader Richard Cantu, is running against Josh Wallenstein. In the March primary, Cantu received 39% of the votes, and Wallenstein 30.7%. Wallenstein is an attorney with his own firm. Previously he worked for a large corporation as a compliance officer. 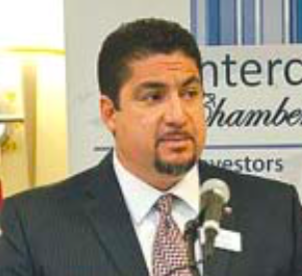 Cantu is well known in Aldine, as the Deputy Executive Director of the East Aldine District. In that capacity he continues his commitment to public service. Previously he held positions of responsibility with the Houston Parks department and BakerRipley. He currently is chair-elect of the Aldine Education Foundation, and has successfully chaired the Aldine ISD’s $798 million Bond election. 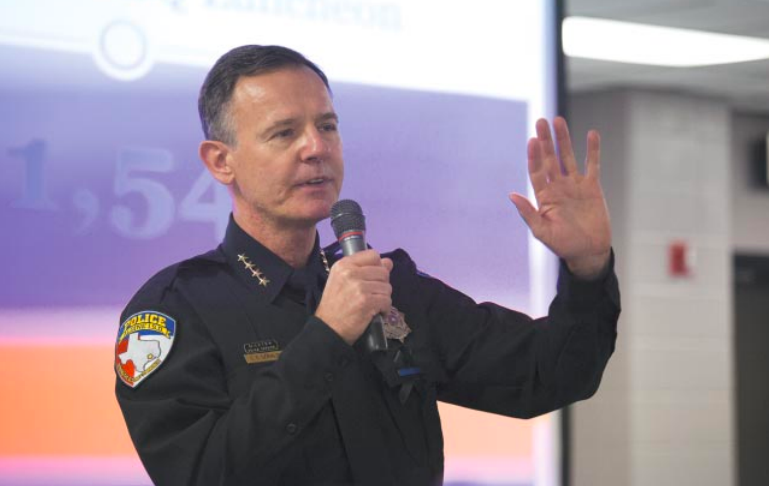 Cantu has 24 years of experience in public service, much of it related to educational organizations. He plans to continue HCDE programs in Early Childhood Education, After School programs for children and adults, and workforce development. In addition, he says he will be fiscally responsible, and report regularly to the public on HCDE activities. Cantu is endorsed by a number of local officials and citizens, including Gene Green, Armando Walle, and Sylvia Garcia. Graduating seniors received scholarships last Tuesday night, at a ceremony in M.O. Campbell Center. 251 seniors received financial help toward their future college education. Awards were made by the Aldine Eduction Foundation (AEF) to 126 students, totaling $412,000 and Aldine Scholarship Fund (ASF) to 125 students, totaling $125,000. A total of 939 applications had been received, and a large committee of volunteers evaluated them to arrive at the recipients. The program was attended by the students, their parents and families, and Aldine faculty and administrators. Emcee for the evening was AEF Director Michele McGovern. Welcoming remarks were made by Bill Ginder, the president of the AEF board, and Derrick Manns, vice-president of the Lone Star College-North Harris college. Superintendent Dr. Wanda Bamberg, retiring from office at the end of the year, gave her famous “Challenge” talk, to the enjoyment of the audience. Entitled “Last, First” she pictured all the Last events graduates would experience, but challenged them to make the most of their Firsts as they head off to college and their futures. A highlight of the opening talks was made by Alex Elizondo, a previous scholarship recipient who is now studying at Houston Baptist University. Addressing the seniors, he said he felt good about their future. He admonished them to look at college as an opportunity to grow, but also to keep in mind who you are, know yourself, and be yourself. While at college, he said to be involved, and make the most of this opportunity. Presentation of the 251 scholarships was made individually by Richard Cantu, president-elect of the AEF, and Michele McGovern, with the help of donors of the scholarships. 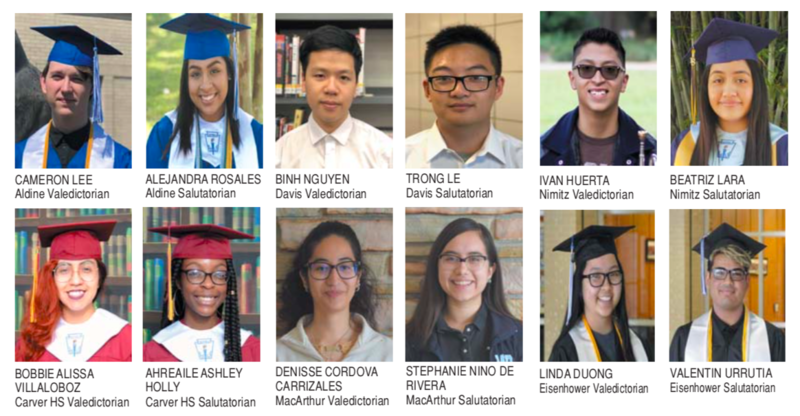 Among the many scholarships named for the donors, major amounts were made by the AEF Board, Aldine staff, East Aldine District, Noble Drilling, Aldine ISD, Lone Star College-North Harris, and many others. Scholarship amounts varied from $1000 to $20,000, the latter a generous award from Noble Drilling to each of 8 seniors over a 4 year period. East Aldine District awarded scholarships in the names of George Acosta, John Broussard, Vic Mauldin, and John Meinke, friends or past EAMD board members. Closing remarks were made by Scott Brady, board member of the Lone Star College Foundation. After the ceremony, students took the time to remember the night with photos together. Pictured with Dr. Goffney, center, are, (l-r): Trustee Rose Avalos, Trustee Dr. Kimberley Booker, State Senator Sylvia Garcia, Board President Steve Mead, Dr. Goffney, Trustee Dr. Viola M. Garcia, Trustees Connie Esparza and Paul Shanklin. Hundreds of Aldine ISD employees, community members and business partners attended a reception to welcome Dr. LaTonya Goffney to Aldine ISD on Monday, May 7 at the Child Nutrition Center. Dr. Goffney was selected by Aldine’s Board of Trustees as the lone finalist to succeed Dr. Wanda Bamberg as Superintendent of Schools. The event was hosted by Near Northwest Management District, represented by Wayne Norton, the North Houston Management District, represented by Greg Simpson and the East Aldine Management District, represented by Richard Cantu. Dr. Goffney’s husband Joseph also attended the reception.